“God is on the move, Hallelujah, God is on the move in many mighty ways,” performed by 7eventh Time Down can be found at https://www.youtube.com/watch?v=yPB9ENSd1Xc. I love that song. Craig and I went to a birthday party at 4:00 p.m. We caught up with friends, ate a wonderful meal and then gave gifts. Before we knew what was happening, God began moving on the heart of one of the attendees. Seems there was unseen business to attend to. The person felt God was saying to forgive something never mentioned before. So after a bit of counsel and prayer, the burden got lifted. Joy filled this persons’ countenance. Another person needed to pray for a release from bitterness against someone who might have been able to intervene in a difficulty they were experiencing, but for whatever reason, the authority figure didn’t approach the perpetrator. The hurting person wants God to show the individual in authority that those crying out for help need to be heard and possibly helped. Again there was prayer after counsel by another person in attendance. Then more prayer and a person with the gift of prophecy spoke encouraging words about turning to God for problem resolution. There are no perfect persons in this world, but God moves on hearts. He can help a leader see their need to act or at least to say I hear you, I see you. My husband and I received a word about our church that encouraged us both. That’s how God is, in my experience. When you go to bless someone else, often times you get blessed as much or more. I truly feel God is on the move. How about you? I tend to write my blog after a full day. Today is no exception. I never intend to write so late, but things need to be done so I get to them first. This morning before Bible study I got a phone call from one of my sisters. She wanted to tell me some news, so I listened as I got ready. I’ve had difficulty being on time for most of my life. Sometime over the last couple of years it started to sink in – this has got to change. It’s embarrassing, it’s rude – or at least inconvenient for others, my husband hates it, it gets adrenaline pumping which isn’t healthy when it’s too often, some doctor’s offices will turn a patient away after fifteen minutes late, airplanes take off without their customer, and it began to occur to me that there must be control issues involved. Enough of this, I decided. So I snuck my way around this bad habit. I set my timer to leave fifteen minutes earlier than normal. I wrote appointments fifteen minutes earlier in my planner. That alone gave me a thirty minute cushion. I began thinking about what to wear including accent pieces a day or two ahead of time. So after talking to my sister today and arriving a few minutes late for Bible study, I felt off kilter, almost as if I was leaning slightly to the left. We ended a few moments later than usual, which was no big deal and then my next few appointments ran as scheduled. But I noticed a temptation to dawdle before leaving the house the second time. Uh oh. I went South to visit my son and his family. His wife and I and two family members needed to leave the house by 3:30, she said. At 3:20 I’m at the stairway waiting, and I could have left at 3:15. At 3:29 no one is ready to go, so I asked her what was going on. That’s why I love being a Christian. My husband and I will be married 41 years this summer and by the grace of God he’s changed some and I’ve changed some, which makes for more peace. We are not perfect, but we live with hope. I pray God’s blessings on you. Our church has been hosting unchurched people to give them opportunities to ask my husband questions they might have about God. When one of the pastor’s placed an ad about the Bible Study, Totally Forgiving God by R T Kendall, one man wrote a scathing letter. I’m not aware of the contents. My husband thought he’d contact the writer to see about opening up a dialogue. I’ll be praying it goes well. I was reading the last chapter of Mark, the last words of Jesus before He went up to heaven. In Mark 16: 15-20 (KJV), it says: And he said unto them, Go ye into all the world, and preach the gospel to every creature. Something to look in to. 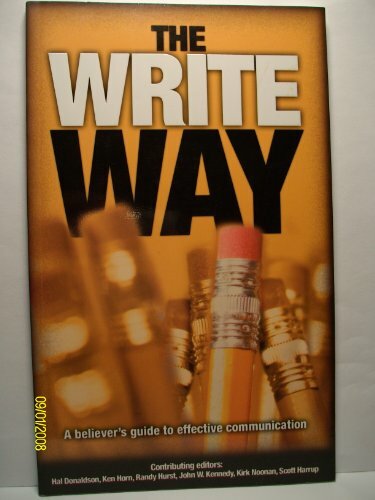 I ordered a book, The Write Way: A Believer’s Guide to Effective Communication by Hal Donaldson, Ken Horn, Randy Hurst, John W. Kennedy, Kirk Noonan and Scott Harrup, copyrighted in 2003, and published by Gospel Publishing House, Springfield, MO. It has ninety-three pages of concise writing advice, at least from the five chapters and introduction I read today. One chapter is entitled, “Writers Are From Mars, Editors Are From Venus,” by Hal Donaldson. After reading that chapter I could see some things I’ve done right, and a few things I’ve done wrong. I’ve had articles published in a variety of publications and once I followed up to offer another manuscript. I didn’t hear from the editor. Hal Donaldson suggests forming professional relationships with editors for the benefit of the editor and writer, the magazine owner and the reader. That’s my paraphrase. It’s presented after tips for excellent writing. I’ve heard that advice before but it was worded in a way that made it feel possible. I liked being reminded to pray before I write. He had more to say about a relationship with God impacting our writing, but I don’t want to spoil your pleasure if you decide to read the book. Occasionally people encourage me by publishing a poem or article or devotional. I thank God for the lift, because writing doesn’t come easy at times and there is a lot of competition out there. I believe I’ve been called to write. When I don’t write it’s almost as if I forgot to eat a meal. Something is missing. I try and leave the results to God. On Sunday morning, a member of the Gideon’s International spoke to our church congregation. We watched two video clips because the speaker told the technician the wrong title. We didn’t mind! The first showed Tempe Brown’s testimony of how she came to Christ. As a single mom she needed to earn money and yet be home more than she was at the time working two jobs. She found out she could sing and she looked something like Cher decades ago. So she auditioned to sing for a rock band and made it. Her girls were becoming wild and actually ended up in prison. She never felt so low in her life. As a singer, she spent lots of time in hotels. Most of them held Gideon Bibles. Eventually she picked one up and started reading it. She went into some detail and then she wiped tears away as she thanked the Gideon’s. One of her comments, she met Christians that accepted her with love. May God bless you. If you’ve never read a Bible, maybe you could pick one up somewhere and give it a try. Last Monday I got online to look for opportunities to write for income. I felt a check in my spirit, so I turned to other things. Unfortunately, I got lured into some internet sites that were interesting but robbed my time. It’s published by Charisma House, Lake Mary, FL, and copyrighted in 2012. For some reason I struggled with one of the sites. The second site only offered the book as an e-book and I’m going to share the book with my husband. The definite advantage of an e-book – it would be available right away. I’m still waiting for the paperback. The e-book would have saved me about four dollars, too. I would have liked that. My granddaughter and I both like real books. The feel of the paper and the look of the letters on the page as compared to reading from a screen appeals to me. As a writer, I pay attention to changes in book formats and to new technology the best I can. I began reading a book today by Eve Bunting. I love her books. 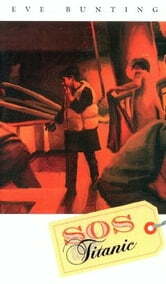 She writes for children and this one happens to be a Young Adult book entitled, S.O.S. Titanic. I got a blue and black covered book from the library, copyrighted in 1996 and published by Houghton Mifflin Harcourt Publishing Company, Boston, MA and New York, NY. Eve Bunting is a great writer. If you’ve never read her books, I hope you’ll do so. She writes wonderful picture books as well. This is the scene I saw today with two friends and my husband, although the water is lower because New York State needs rain. It’s still beautiful there and the trees must be drinking from underground reserves because they are vibrantly green. I was thinking how one never knows what a day will bring. We met our friends there for lunch and a chance to catch up. We ended up taking a walk and suddenly a couple from our home town looked shocked to see us there, maybe because it’s a small world. My husband shook his hand and we met his wife and then I introduced our friends and after a few moments they went their way and we went ours. We walked on pavement and uneven stone steps and then later on wood chips as we traversed the side of the river, high above the banks sometimes. Sometimes close enough to make us want to scamper down to walk next to the water or put our bare feet in it. Lots of signs warned us not to enter the area near the water. It was so tempting, but we resisted. After good food at the Glen Iris Inn and wonderful conversation, we had walked and talked some more before going our separate ways. As we exited, six – eight State Trooper cars and/or police cars flashed their lights at the side of the road. Every car got stopped and a few might have gotten searched. We wondered if they were looking for someone. It’s pretty rare when we get stopped by police and I’m glad about that. I couldn’t help but glance at our registration sticker and inspection sticker to make sure they were up to date. All was well and our car doesn’t have room to hide anyone in it. The full size van with dark windows ahead of us got stopped and asked to pull to the side of the road. I began praying if there was an escaped criminal nearby they wouldn’t harm anyone. I asked for God to protect the police men and everyone in the park. You never know what might be going on and that’s not always a bad thing. Not that I believe in being like an ostrich with my head in the sand. Not at all. I’d rather know what I need to know. It’s excess things that jar the senses and are being taken care of in a judicious manner that I’d rather leave to qualified people. In the Old Testament, God sent a season of a lack of rain as punishment. 1Ki_17:1, (KJV), And Elijah the Tishbite, who was of the inhabitants of Gilead, said unto Ahab, As the LORD God of Israel liveth, before whom I stand, there shall not be dew nor rain these years, but according to my word. 1Ki_18:1, (KJV), And it came to pass after many days, that the word of the LORD came to Elijah in the third year, saying, Go, shew thyself unto Ahab; and I will send rain upon the earth. Three years with no rain because of evil King Ahab and his evil wife Queen Jezebel. May God bless you and keep you in the palm of His mighty right hand. I appreciate the blessings He’s sent my way – friends and Him wanting to hear from me. Wow! Is Jesus Coming Back in 2017? I went to the nursing home for Bible study this morning and the person I started the study for got all set up for Bingo. She stays to play Bingo if the activities person gets to her before I do. At age ninety-four, she probably forgets our weekly appointment. So, three of us met and one lady at age 91 told me she’s really interested in Jesus’ return. So we read 1 Thessalonians 4:7-chapter 5. Then we turned to Matthew 24 – Matthew 25. We spoke of the symbolism of the fig tree often signifying the country of Israel. Mat 24:33 So likewise ye, when ye shall see all these things, know that it is near, even at the doors. Mat 24:34 Verily I say unto you, This generation shall not pass, till all these things be fulfilled. Mat 24:35 Heaven and earth shall pass away, but my words shall not pass away. Some figure that the beginning of the nation of Israel in 1948 is the year that the generation begins. So, if a generation is seventy years, or eighty years, or one hundred years it would seem that Christ could come back in three years or thirteen years of thirty-three years from now. My ninety-one year old friend said that the man on Christian television spoke of 50 year time periods. Using those, he deduced Jesus Christ’s second coming would be in the year 2017. She didn’t remember his logic but she said it doesn’t give us much time, does it? I listened to “Revelation Rumblings” on Youtube with Jack Van Impe and his wife, after looking online to see if I could find anything about 2017 being the year Jesus returns. They are speaking of the book of Revelation and interpreting the end time prophecies. There were many references to 2017 being a year that Jesus could or would return. I didn’t open any of their sites, because I’m not familiar with their ministries. I have listened to Jack and Rexella Van Impe many times on television. I wanted to hear what they had to say on this video – “Revelation Rumblings.” Farther into the video he talks about the sixth Jubilee that will be coming in 2017 and a man of peace will be put into power. That man is not Jesus, the man is the Antichrist. When I blog lately, it seems that it turns to the Gospel when I’m not expecting it. There are so many voices against the Gospel in some circles. I ran into that in my undergraduate college courses. I hear it in my home town when I speak with young people who have read books written by atheists trying to disprove God and His plans. She never heard anything about Jesus except His name loud and clear and in angry tones. I couldn’t believe that a seven or eight year old in America never heard of Jesus, even at Christmas time. If Jesus is coming back soon, that may be why my blogs seem to veer of their own volition to belief in Jesus Christ, God the Son, and His sacrificial death on the cross and His call for us to repent and obey Him. 2Pe 3:9, (KJV) The Lord is not slack concerning his promise, as some men count slackness; but is longsuffering to us-ward, not willing that any should perish, but that all should come to repentance. 2Pe 3:14 Wherefore, beloved, seeing that ye look for such things, be diligent that ye may be found of him in peace, without spot, and blameless. 2Pe 3:16 As also in all his epistles, speaking in them of these things; in which are some things hard to be understood, which they that are unlearned and unstable wrest, as they do also the other scriptures, unto their own destruction. 2Pe 3:17 Ye therefore, beloved, seeing ye know these things before, beware lest ye also, being led away with the error of the wicked, fall from your own stedfastness. 2Pe 3:18 But grow in grace, and in the knowledge of our Lord and Saviour Jesus Christ. To him be glory both now and for ever. Amen. May God give you peace and bless you! My husband and I watched the DVD movie, “Investigator” tonight. We decided we’d seen it before, some years ago. It’s copyrighted in 2013 by Gabriel’s Messenger Film and in 2014 by Screen Media Films. It’s pretty good. A police sergeant gets fired so he gets a job as a baseball coach and a criminal justice teacher. He absolutely loves baseball. So even though he never taught before, he gave it his all. He teaches more by example than by talking all the time. He encourages his students to think and investigate, telling them it’ll serve them well all the days of their lives. I thought of a verse that reminded me of that same concept from God’s point of view, which I’ve quoted before in this blog: Isa_1:18, (KJV): Come now, and let us reason together, saith the LORD: though your sins be as scarlet, they shall be as white as snow; though they be red like crimson, they shall be as wool. I love that verse. What a promise from God. Our sins can be forgiven and washed away by the sacrifice of Jesus Christ on the cross. He took on all the sins of the world. He took the punishment for every sin so we could be pronounced not guilty before His Father. We need to receive the free gift of salvation and then show our love and respect for God by choosing to follow Him and His commandments. Easy if we let Him lead, difficult if we take the lead and don’t know the way. Those are my deep thoughts for tonight. May God bless you! He loves you and watches over you. Maybe you can investigate His love for you. He wants us to reason together with Him. What a privilege. 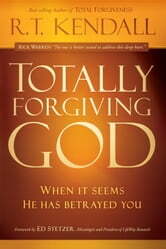 A retired pastor at our church started a Bible study last week based on the book, Totally Forgiving God by R. T. Kendall, copyrighted in 2012 and published by Charisma House, Lake Mary, FL. It’s not like God is capable of making mistakes because He is perfect. With our human thinking, we can’t understand why He made mankind with the ability to act in an evil manner. This author brings up lots of things to think about. God is perfect but He allows things we can’t fathom. Forgiveness always releases the person doing the forgiving from bitterness and depression and stress and sometimes a devastating illness. Thelma Wells spoke to a large gathering of women in Syracuse, N.Y. I was privileged to attend with over three years ago. She related about an offense she carried against three women at her church. Not the details of the hurt, but how a really good friend approached her. She told Thelma something to the affect that Thelma may not want to hear this, but she thought God wanted her to forgive these three ladies. Thelma wasn’t ready to hear her at that time, but the friend brought it up again later. When she finally took action to forgive the women, something happened. Thelma had been battling a life-threatening illness that puzzled the doctors. Suddenly, she began to heal and that didn’t make sense to them either. After a total healing over a bit of time, she decided to let the doctor know about her act of forgiveness and that God had healed her! She wrote a book with many anecdotes and lots of Scripture entitled, Don’t Give In, God Wants You to Win. I also purchased the DVD to show at our church. Harvest House Publisher, Eugene, OR published both items and they were copyrighted in 2009. She is a great speaker, if you ever get the chance to hear her, I think you’ll be blessed. Well, tomorrow is a full day and once again, it’s after midnight, although not far past midnight. So may God bless you and keep you in the palm of His loving hand. “God is love,” 1 John 4:8a (CEV).